Coalition chair announces coalition likely to be replaced soon, comes as Likud MKs plan to 'rebel' against concessions. 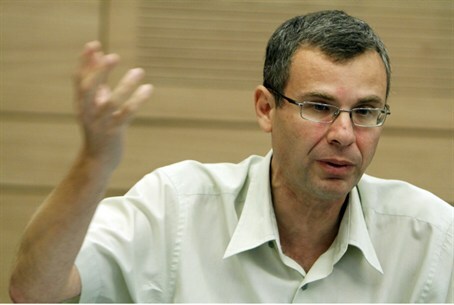 Coalition Chair MK Yariv Levin (Likud Beytenu) announced that the coalition will likely be replaced in the near future. "There's no reason to believe this coalition in its current makeup will continue to the end" of its term, declared Levin. Marking a year since the elections for the current 19th Knesset, Levin told Galei Yisrael radio that "like every government, there's no such thing as everything remaining the same." Levin's statements come after reports surfaced Tuesday indicating several Likud MKs plan to "rebel" and quit the government should Prime Minister Binyamin Netanyahu attempt to concede land to the Palestinian Authority (PA). Levin's name appears among those Likud MKs speculated to be planning to "rebel." He reportedly declared in a recent private conversation that he would step down as coalition chairman if Netanyahu concedes to PA demands. Other "rebels" include Deputy Ministers Zev Elkin, Danny Danon and Tzipi Hotovely. Talk of a coalition collapse comes as a new poll by Channel 1 indicates that nationalist parties will grow from 43 to 50 seats in a new election. Aryeh King, number 4 on the Otzma Leyisrael list who is currently actively promoting Jewish claims on the land as a Jerusalem councilman, accused Jewish Home of keeping Otzma Leyisrael out of the current Knesset through negative politicking.